If you want to see the hottest printable coupons, go HERE. I post the newest printable coupons each morning. If you are looking to see if there is a coupon available for a product you need, go HERE and search our coupon database. It will show you all of the coupons available for a specific item. You can see and print the coupons from coupons.com found HERE, Red Plum found HERE, Smart Source found HERE, Hopster found HERE, and Savings.com found HERE. There are a lot of available coupons to print to help you save money on everyday items. If you’re wanting to order coupon inserts, go HERE. 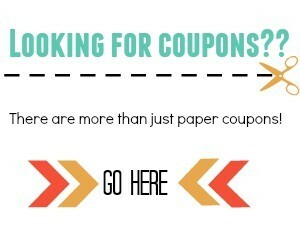 I have broken down where the best places are to order coupons from and for less. If you’re busy, but still want to save money, see the Fifteen Must Have Money Saving Apps HERE.